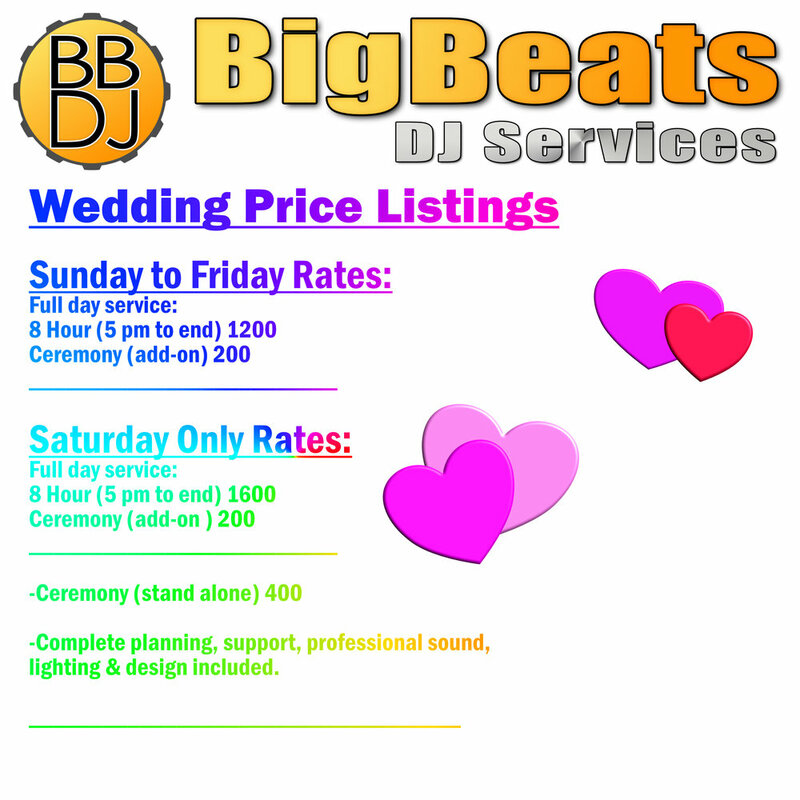 Contact us first for availability. First meeting is FREE regardless. Call Terry at 519 792 3598 today to arrange your FREE consultation, or fill out our handy form below. 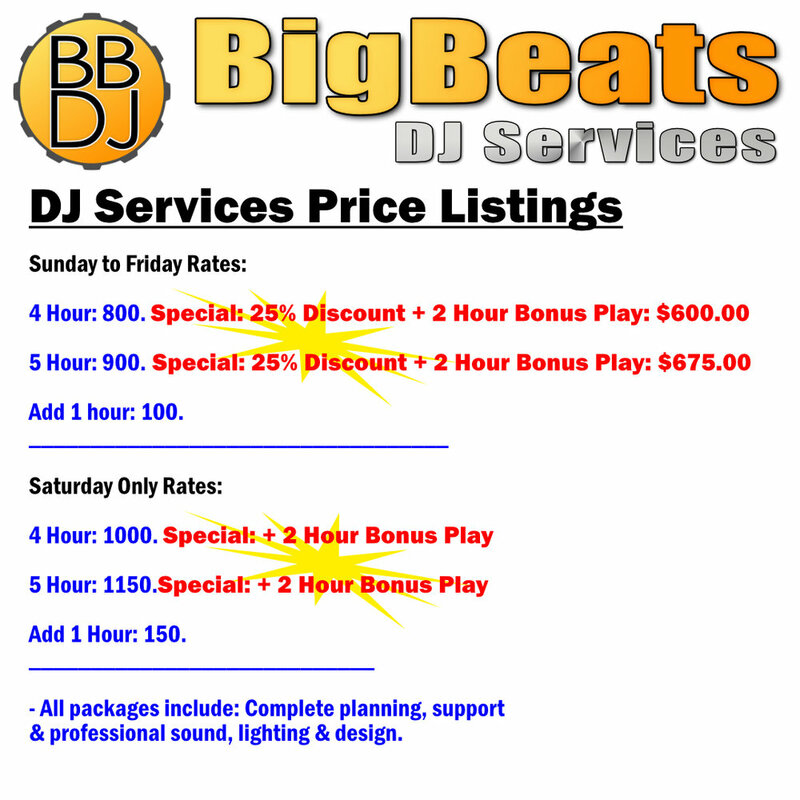 Welcome to BigBeats DJ Services complete price guide. - Pricing includes travel within Windsor-Essex County. Additional travel fees apply beyond.